Manhattan College ITS Blog: Need another New Years Resolution? How did your first New Years Resolution work out? Need a new one? 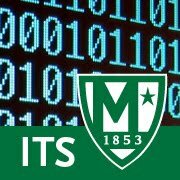 Help us try to keep the computer labs germ-free! Using hand-sanitizer on your way in and out of the labs will help us keep the labs clean and hopefully germ-free! Happy new New Years resolution!